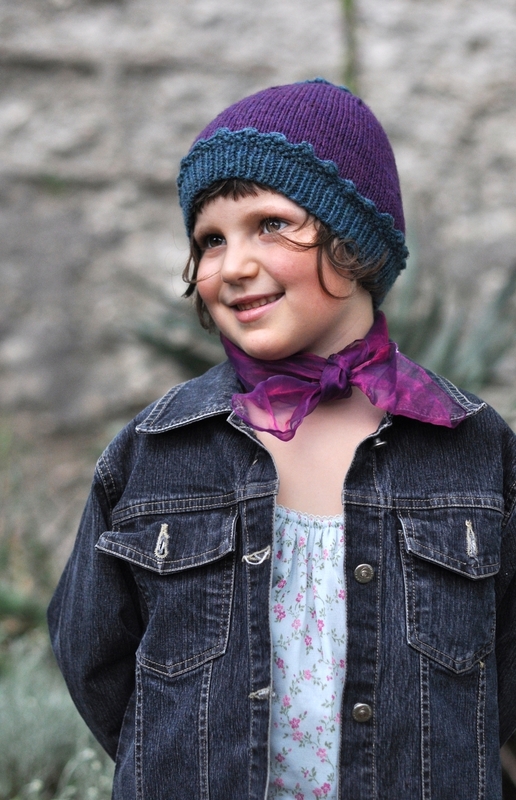 This cute little Hat features picot edgings to create a flower come sprout like detail. 3 sizes are included, ranging from 6mths through to large child/small adult. Pattern is worked bottom up and in the round. 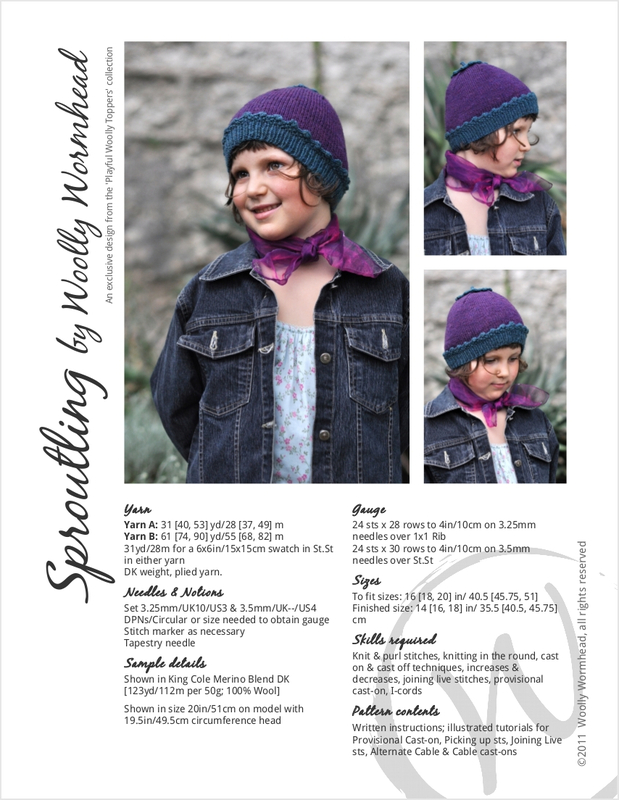 Available as a single pattern or as part of the Playful Woolly Toppers collection. 24 sts x 30 rows to 4in/10cm on 3.5mm needles over St.St.